Welcome to The Brain Warrior's Way podcast and stay tuned for a special code for a discount to Amen Clinics for a full evaluation, as well as any of our supplements at brainmdhealth.com. Dr. Daniel Amen:	Welcome everybody, thanks for being with us. This comes from Frankly Speaking Up. "I just listened to the hand holding podcast." Tana Amen:	We were just holding hands. 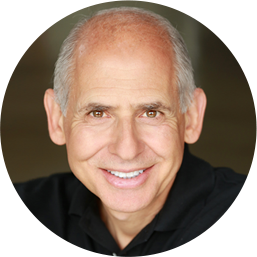 Dr. Daniel Amen:	"What a joy Dr. Amen and his wife Tana are. Based on research studies, we now have learned from the podcast, when people hold hands, their brain waves sync up. Using this information, I would like to encourage all listeners to think of the elder people in your community. They have survived many years of ups and downs, but now life has many reasons to be down, down, down. They've lost their friends, family, control of their independence, and other losses, which over time add up. Now armed with great information on the hand holding podcast, I encourage you to get your own brain waves at peace. That's right, don't bring in your own crazy brain waves, and sign up to volunteer with seniors at facilities, hospice, or churches." Tana Amen:	I like that. That's lovely. Dr. Daniel Amen:	That is really lovely. Another one from My Nickname 247. "I really enjoy Dr. Daniel and Tana Amen. They are full of information for brain health. The podcasts are short so it doesn't take a lot of time to listen. However, they contain helpful and interesting information about optimizing your brain and your life. They are also a delightful couple." I wonder if Chloe would say that we are a delightful couple. Tana Amen:	No. We gross her out. She is so annoyed by us. She rolls her eyes at us. She says that we are a crazy family. That's actually what she told me this morning. Tana Amen:	She said we were certifiable. Dr. Daniel Amen:	When he was young, remind me, he said we remind him of Homer Simpson's family. It's like, let's pretend. Tana Amen:	Oh that's hilarious. Dr. Daniel Amen:	When we went to take a picture together, let's pretend we're a nice, normal family. Tana Amen:	Right. Chloe actually compared us to the Addams Family, so I'm not quite sure. Dr. Daniel Amen:	All right. Today we're gonna talk about pregnancy and the impact of a mother's depression on the cognitive function of the children. A new study reveals maternal depression can have a negative effect on her child's cognitive development. Researchers found children whose mothers were depressed scored lower on verbal IQ tests at age five than their peers whose mothers did not suffer from depression. Tana Amen:	I have a question. Is this during the fetal period? This is during pregnancy or is this actually on children? Dr. Daniel Amen:	During pregnancy. So when the mothers were depressed during pregnancy, it had a negative impact on the baby's health. Depression changes the chemistry in the brain. It increases stress hormones and if she's depressed when she's pregnant, she's also more likely to be depressed after the baby is born, to interact less with the baby and that can affect the baby cognitively. Now, there's so many things you can do about it. My worry in talking about studies like this is it will make people feel bad, and I don't want to. What I want to help people with is if you get depressed, you have to take care of it, which doesn't mean start medication. Tana Amen:	You can't start some of those medications when you're pregnant. Dr. Daniel Amen:	Well, we tend not to. A lot of doctors do. It's a big issue. If I'm depressed, do I take medicine during pregnancy or do I not? Tana Amen:	Some of them you can't take, correct? Dr. Daniel Amen:	Some of them are not recommended. Dr. Daniel Amen:	They do have potential side effects, but if you're gonna kill yourself that's like way more of a problem. You're always balancing the risk of letting someone stay depressed versus the impact it's gonna have on them and the babies. Tana Amen:	I think as a mother, I can certainly understand why when I'm carrying a child what I go through affects a developing fetus. I think that's kind of logical to most people who are ... I think in this day and age, we understand that. Let's talk for a minute about what happens with the affect on children after birth if the mother is depressed. What goes on? To me, even that seems somewhat logical knowing what I know now. If a mother is highly depressed and she is withdrawn, you're not going to be spending the time. I just know as a mother how much time. I read to Chloe every night. I was helping her with homework. If you are not present to be able to do those things, then that's going to I would think affect their IQ as well. Also, modeling. Modeling is going to affect them. What else? Dr. Daniel Amen:	You'll hold the baby less, you'll cuddle the baby less, you'll stimulate the baby less. You'll leave the baby alone more. Even though this study was done on mothers, I'm sure it's not just mothers. When fathers are depressed, they're gonna have less positive input from the father as well. In the podcast, we always talk about the four circles. If the mom or the dad is depressed, there's biology that goes with this. You don't know that they aren't living in a mold infested house causing the depression, or that they're not using personal products that have wiped out their hormones that that's causing the depression, so there's a biology to the depression. The baby, when they're raised in the mother's womb, the baby is also bathed by those toxins or has that genetic vulnerability itself. Dr. Daniel Amen:	Between the parents may clearly affect the baby, or the negativity that the mom or dad could feel that they're depressed, they may begin to attribute things to the baby that they just ... I see this all the time as a child psychiatrist. Well, this child doesn't want to do what I want them to do. They're attributing adult motivation to someone that doesn't have an adult rank. This child knows he irritates me when he cries. He may have a gut problem, and that's why the baby's crying. You take things personally. The social impact of depression is there's less interaction. Dr. Daniel Amen:	There's more isolation, there's more loneliness. We know that when we leave babies alone that's bad, bad, bad for the baby. Tana Amen:	Right. We know on even animal studies, even with monkeys and things like that, they'll rip their own hair out. I mean, it's terrible when you isolate them. Dr. Daniel Amen:	So when moms get depressed in the animal kingdom, that clearly affects the development of the baby. There's a spiritual component to it that mom or dad doesn't really see this really beautiful gift and deep sense of meaning and purpose, and they feel guilty. They almost feel sinful that they don't have those positive, happy feelings that you see on the Gerber baby commercials. Tana Amen:	I was really actually impressed with, do you remember when Brooke Shields talked about her postpartum depression? I know she got a lot of criticism, but I was actually really impressed that she was willing to come forth and face that criticism so she could help other moms, because postpartum depression is a very real thing. It's tough. I've seen women go through it, and it's brutal. Just brutal. There's help for it. It's just so important to get that treated. Dr. Daniel Amen:	It's common. It's very common. Tana Amen:	It's not shameful. Dr. Daniel Amen:	It's going to be more common coming forward now that 20% are struggling with depression and 23% of women between the ages of 20 and 60 are taking antidepressant medication according to one study. Tana Amen:	Your hormones are whacked. I'm telling you. Your hormones are whacked. Dr. Daniel Amen:	If a mom feels depressed, what are some of the things she can do? Tana Amen:	You're asking me or we're gonna talk about this? Dr. Daniel Amen:	We're gonna talk about it. Dr. Daniel Amen:	Is get help. Tana Amen:	Is get help. Because it's not your fault, it's not a shameful thing. It's just a thing. It's not a good or a bad thing, it's just a thing. Dr. Daniel Amen:	It can have a big impact on your children, so it's important to get help. Tana Amen:	It's important, but it's not shameful. Tana Amen:	Thyroid, we just talked about thyroid. Dr. Daniel Amen:	Thyroid, Hashimoto's shows itself. Dr. Daniel Amen:	Either during or after pregnancy. Tana Amen:	Important little tip. An important little tip that I learned from my doctor that I love so much. I loved being pregnant, like I loved being pregnant. Never felt better. Never had morning sickness. Loved it. He guessed that, he never asked me, I walked into my office and he was like doing this thing, and he actually told me about my life. I never actually ... he never read my history and I'm like, "Well, that's in my history, that's in my history." He goes, "I'm not reading your history, I want to ask you." He guessed all these things about me and one of the things he guessed is he said, "Let me guess, you never felt better than when you were pregnant." I'm like, "How on earth would you know that?" He goes, "Because all of my Hashimoto's patients feel better when they're pregnant. Some of them stay pregnant because of it." I'm like, "What? That doesn't make sense." He goes, "Yeah, because normally you feel terrible. You suffer with this brain fog and sort of depression and this off and on sort of feeling good, feeling bad, but when you get pregnant, it shuts off that antibody response, that body's attacking itself so women will want to stay pregnant, but after you have the baby, guess what happens? It goes back." Get your thyroid checked. Dr. Daniel Amen:	Very important. Dr. Daniel Amen:	Exercise, really important. Even though you don't feel like it, walking like you're late 45 minutes four times a week can help. Tana Amen:	I love when I see women in those jogger strollers because it's just such a healthy thing and so good for the baby to be out and it's really good for you. Tana Amen:	Yeah. We had a whole bunch of people this month, last month, use it. Dr. Daniel Amen:	Excited about that. What we've seen here at Amen Clinics is depression is not one thing, it's many different things. So what kind of depression do you have? I had a fun thing happen yesterday. I was with a consultant who had actually been scanned and I had him take our brain health assessment, so if you go to brainhealthassessment.com you can take it. It's free. His brain type correlated perfectly with his scan, which was really cool. That's why we created the brain health assessment, for people who can't afford to get scanned. It will help you know what's my type, what supplements are more likely to be helpful for me, and again, I think anybody that struggles with depression, a multiple vitamin, fish oil, check your vitamin D level, optimize it, and then it depends, are you more worried, rigid, and flexible, things don't go your way, you get upset? Then you want to find ways to boost serotonin, like 5HTP or saffron. If you have really low energy, [inaudible 00:13:34] might be helpful. Tana Amen:	You know, one of the things we didn't talk about is one thing that can actually make depression worse for new moms. They're not sleeping. That's a big issue if you're not sleeping and you're up all night with a baby, so you may want to figure out a way to get some help. Someone in your family you could give you a rest for a night. 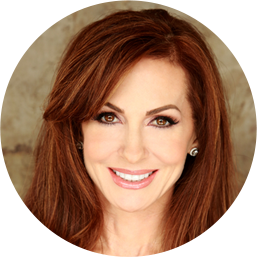 Dr. Daniel Amen:	You don't want to have the idea that you should be supermom, because nobody is. Tana Amen:	No, no, no. No, I asked my mom, can you help me for a night? Let me sleep. Again, I was lucky that I was able to get my baby on a sleep schedule pretty early, but not everyone can do that. I know some babies aren't as easy to get on sleep schedules. In trying to engage people in your family to help you and not thinking that it all has to be completely on you is really important, because you've got to sleep. Dr. Daniel Amen:	Thank you so much. You are such a thoughtful human being. I adore you. Tana Amen:	Let's hold hands. Dr. Daniel Amen:	Let's hold hands. Stay with us. Thank you for listening to the Brain Warrior's Way podcast. 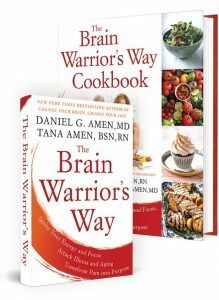 Go to iTunes and leave a review and you'll automatically be entered into a drawing to get a free signed copy of "The Brain Warrior's Way" and "The Brain Warrior's Way Cookbook" we give away every month. ← Can Drinking Alcohol Help You Live Longer?